Mo Farah didn’t set a British record in winning the 3000m on day two of the Sainsbury Anniversary Games in London on Saturday, but he was still a primary newsmaker. His 7:36.85 was a bit more than four seconds off David Moorcroft’s record set in 1982 but was 5 ½ seconds better than second place, USA’s shock 5,000m Worlds qualifier (and emerging star?) Ryan Hill. 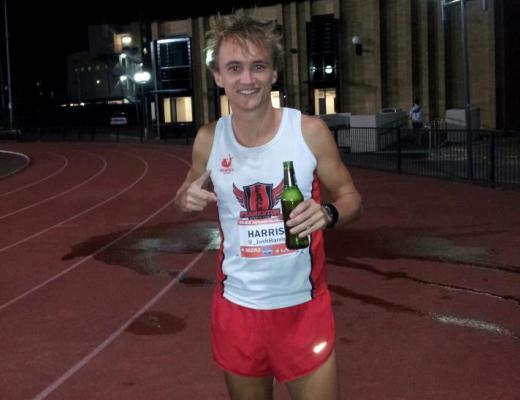 1) He asked British officials if they would enter him in the 1500m at Worlds. 2) The Kenyans say they’re ready to work together to attack him in the 5000m. 3) Mo will head to the roads next year but still plans to be back on the track after 2014 – we think. 4) He wants to race Usain Bolt. A Worlds triple denied: After running a European record 3:28.81 in the 1500m in Monaco on July 19, Farah said this weekend he feels he is closer to running a world record in that event than any other. For those who maintain that a dearth of eye-popping times keeps Farah out of the distance runner pantheon, a 1500m world record would certainly put that sentiment to bed (while simultaneously displaying his remarkable range). At the same time, he wouldn’t set a world record in an unpaced Moscow championship 1500m, and the schedule was deemed too difficult for Farah to attempt the feat (he also never told Alberto Salazar about his plan, so it was probably more a preliminary thought than anything else). The Kenyan plan: Edwin Soi indicated to AllAfrica.com that he and his teammates in the 5000m are ready to work together to take the gold away from both Farah and the three Ethiopians expected to make the final. Soi is joined by teammates Isiah Kiplangat Koech and Thomas Longosiwa and says that “the three of us are … developing very effective tactics to ensure we win the gold in the race.” Soi, who has the world-leading time of 12:51.34, defeated Farah at the Prefontaine Classic and says he’s working on finishing with a final 400m of “41-53 seconds” (surely a typo and intended to read 51-53). The Kenyans’ strategy has to be to push along the pace for the first two miles to take some of the sting out of Farah’s kick, but that’s more easily done on paper than in practice. So, when they go out in high 60s and low 70s for the first eight laps, remember Edwin Soi’s quotes. 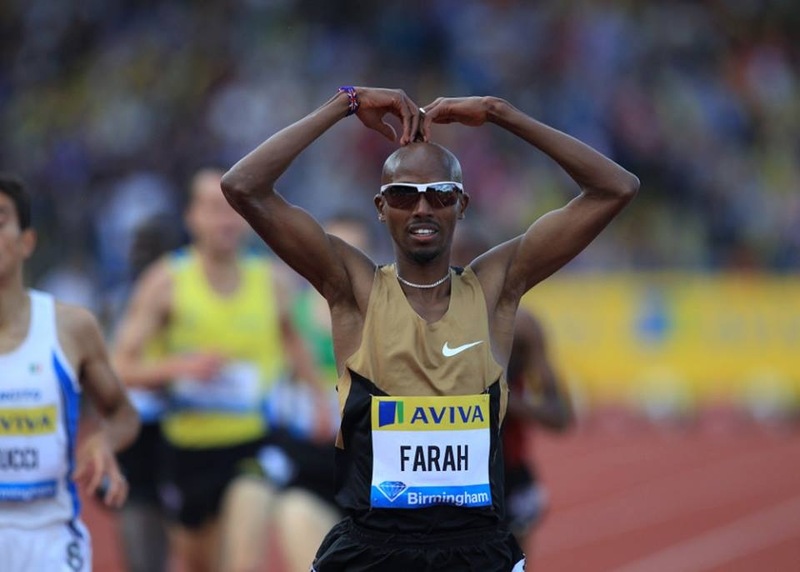 Mo’s track plans: There was some controversy Saturday when media outlets were reporting that Farah would leave the track behind for good after Worlds, while another indicated that he plans to double in the 10,000m and marathon in Rio. The Mirror clarified Sunday that the latter is more accurate. Bolt vs. Mo? This will probably never happen, but Farah indicated (in the linked article just above) interest in a charity race in which he and Bolt would race at an intermediate distance – somewhere in the 600-800m range. What do you think would be the break-even distance if the two raced right now? Respond to @DailyRelay on Twitter or in the comments section of this article. American David Oliver may have been the best sprint hurdler in the world in the non-championship year of 2010, but he struggled mightily in 2011 and 2012, finishing fourth in Daegu and not making the U.S. team for London. He’s hurdling as well as he has since and proved it again Saturday, three weeks after running a world-leading 13.03 in Lausanne. Aries Merritt did not finish after stumbling mid-race and Oliver had to come from behind after a slow start, but his time of 13.20 would have beaten all but Jason Richardson in Daegu two years ago. Considering it was a “B” race for him relative to his season form, a podium finish has to be the least of Oliver’s expectations in Moscow. After running a season’s best 4:01.28 in the Monaco 1500m a week ago, Shannon Rowbury picked up her first Diamond League win with a world-leading 8:41.46 in the 3,000m in London (still 10 seconds slower than her PR at the distance from 2010). She led a 1-2-3 American sweep ahead of Gabriele Anderson (8:42.64) and Molly Huddle (8:42.99, a 15-second PR). With all the caveats of running a world-leading time in a non-championship distance at an event devoid of the top East Africans, the performance was nonetheless a good sign for Rowbury. The Duke alum finished a disappointing fourth in the tactical 1500m at the US Championships last month, but came back a day later to place third in the 5000m, earning her ticket to Moscow. South African 800m runner Caster Semenya will miss out on the World Championships after falling 0.36 seconds short of the necessary women’s “B” standard. Semenya ran 2:01.86 while winning the event held in Ninove, Belgium. She improved her 2013 best by more than two seconds but still fell short of the required standard. Semenya won gold at the Berlin Worlds in 2009, silver in the Daegu Worlds in 2011 and silver again at the London Olympics last August.Semenya joins a growing list of big names who will miss the Moscow event next month, joining the suspended Tyson Gay, Asafa Powell and Veronica Campbell-Brown as well as injured athletes like Yohan Blake, David Rudisha, Liu Xiang and recovering from injury Sanya Richards-Ross. -We learned that Tyson Gay also had a positive test at the US Championships where he won the 100m and 200m and ran world-leading times. -The Kenyans are preparing to shock the world in the men’s 800m at Worlds, even without Rudisha. Ferguson Cheruiyot, who finished second at the Kenyan trials, says he and his teammates “are coming to silence” the skeptics, who may be skeptical, in part, due to Cheruiyot’s eighth-place finish in Monaco (as Ferguson Rotich). -Brazil’s Alan Oliveira smashed Oscar Pistorius’ T43 100m world record. -Kim Smith (New Zealand and Providence College) has withdrawn from Worlds due to foot and Achilles injuries. She had been set to run the 10000m. This article implies that she will also be out of contention for a fall marathon. -Japanese marathoning hero Yuki Kawauchi thinks he can finish in the top six at Worlds and plans to run in “an inconspicuous position” for the first half. No word on whether the prolific Kawauchi will run a marathon the weekend before or after Worlds (or both). -Elsewhere on the roads, Kenya’s Wilson Kiprop won the Giro Podistico di Castelbuono 10K in 30:10 ahead of Ethiopian Atanaw Ayalew. The Sicilian race finished in the Piazza Margherita, which sounds delicious. … Kenyans Geoffrey Kipsang and Priscah Jeptoo won the men’s and women’s Bogota Half Marathon on Sunday, though the article states that Kipsang won in 1:30:46, which is something I could run (maybe); he actually won in 1:03:46. Jeptoo won in 1:12:24, in a race run at altitude.